We were delighted to see in the June 2014 Issue 43 of Airfix Model World magazine that one of our best-selling models, the Pegasus Hobbies Nautilus has been treated to an outstanding &apos;Advanced Build&apos; review. In fact 7 pages of gorgeous photos and inspiring instruction of this beautiful piece of Victorian-era science fiction. Other features include builds of the Lynx HAS.3 ICE helicopter, L-39 Albatros plane and C-47 Skytrain. 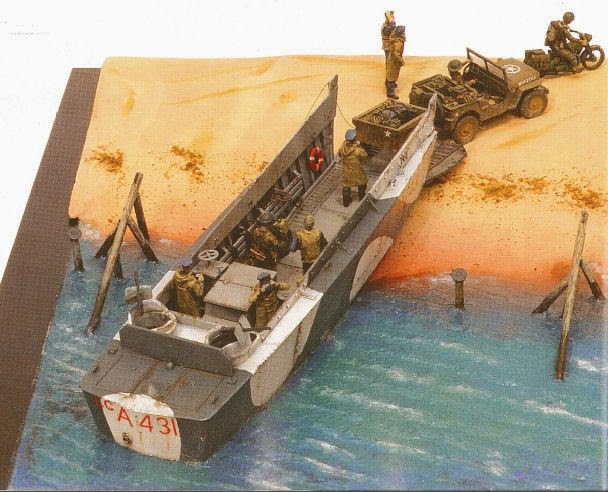 Another piece that caught our eye was a Normandy landings diorama featuring an exclusive build of Airfix&apos;s new 1:72 scale Willys Jeep and LCVP landing craft. We were impressed by the instruction for using balsa wood and cork matting to build the beach setting, and Deluxe Materials products &apos;Making Waves&apos; and &apos;Solid Water&apos; to produce lifelike sea that the landing craft is emerging from. Simply a brilliant tutorial that modellers will surely be inspired by . Its also accompanied by an enjoyable and informative historical feature on the D-Day landings featuring dramatic photos of the day.